Since April, 18 out of 26 wind turbines of the first stage of Prymorska Wind Farm (DTEK Renewables) have been generating electricity. The total capacity of the operating wind turbines is 68.94 MW. 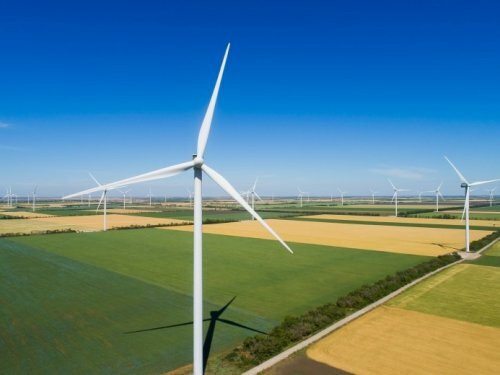 The wind farm is expected to start supplying its 100 MW of green energy to the national power grid within the next two months. Overall, 25 out of 26 wind turbines have been installed at the wind farm. The first seven wind turbines became operational in January. In April, 11 more wind turbines have been added to the wind farm. All of them have the required documents in place to supply electricity to the national power grid. The project will be completed as soon as all of the 26 wind turbines are put into operation and the company receives all necessary documents. DTEK Renewables is going to complete the works by 1 June 2019. When full designed capacity is reached, the first stage of Prymorska Wind Farm will generate about 350 million kWh of green electricity yearly. Such facilities as Prymorska Wind Farm help boost energy independence of Ukraine and reduce the environmental footprint on industrial regions.